Product categories of Excavator Relief Valve, we are specialized manufacturers from China, Excavator Relief Valve, Pc200-7 Excavator Relief Valve suppliers/factory, wholesale high-quality products of Pc200-8 Excavator Relief Valve R & D and manufacturing, we have the perfect after-sales service and technical support. Look forward to your cooperation! A relief valve, a hydraulic pressure control valve. In hydraulic equipment, it plays the role of constant pressure overflow and safety protection. Constant pressure overflow function: in a quantitative pump throttle regulation system, a quantitative pump provides a constant flow rate. When the pressure of the system is increased, the flow demand will be reduced. At this time the overflow valve is opened to overflow the excess flow back to the tank and ensure the inlet pressure of the overflow valve, that is, the outlet pressure of the pump is constant (the valve mouth is often opened with the pressure fluctuation). 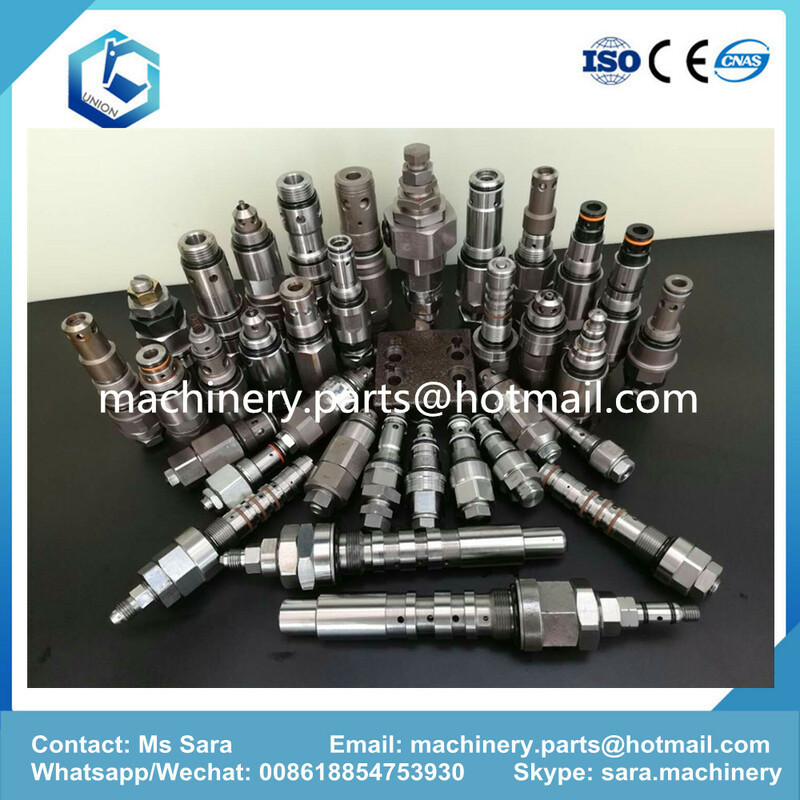 The components that easily produce noise in the hydraulic device are generally considered to be pumps and valves, and the main valves are overflow valves and electromagnetic reversing valves. There are many factors to produce noise. The noise of the overflow valve consists of two kinds of sound and mechanical sound. The noise in the velocity sound is mainly caused by the vibration of oil, the hole and the hydraulic shock. In mechanical sound, it is mainly caused by the impact and friction of the parts in the valve.